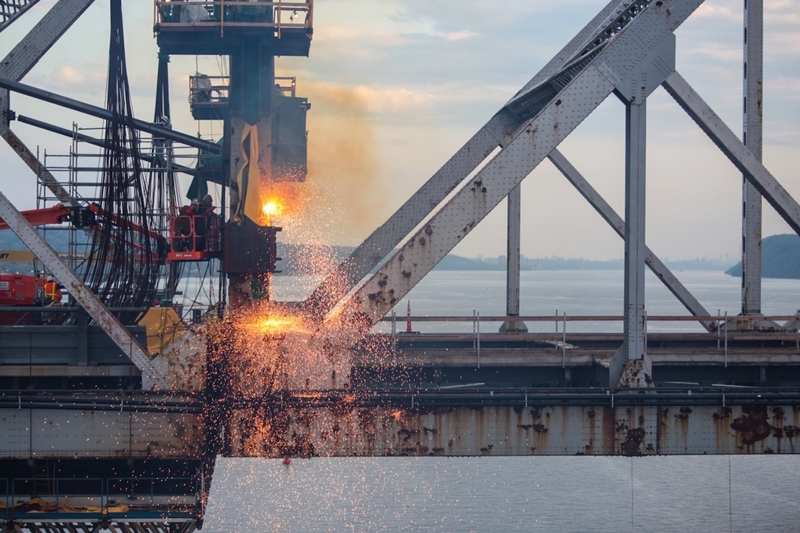 Tappan Zee Constructors (TZC) this week lowered the 532-foot-long center span of the retired Tappan Zee Bridge, the first of five massive main span sections of steel to be removed this year. 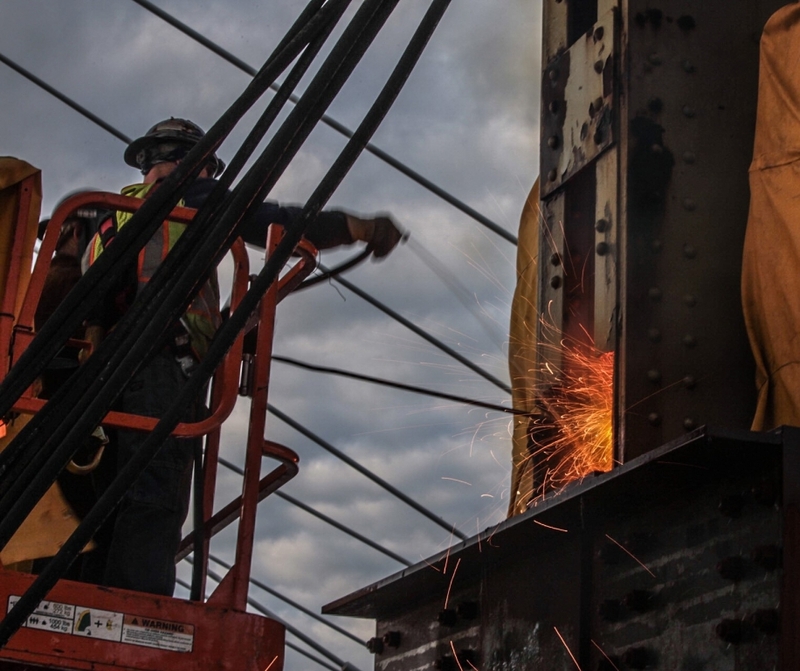 The initial 27-hour operation was completed on Tuesday, May 8. 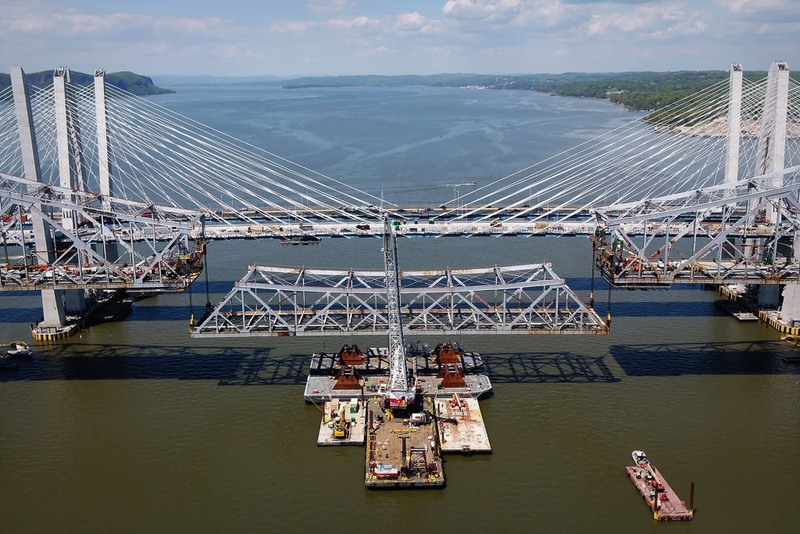 TZC crews utilized eight hydraulic strand jacks to lower the center of the main span, called the suspended span (Section 1 in the illustration below), onto a barge. 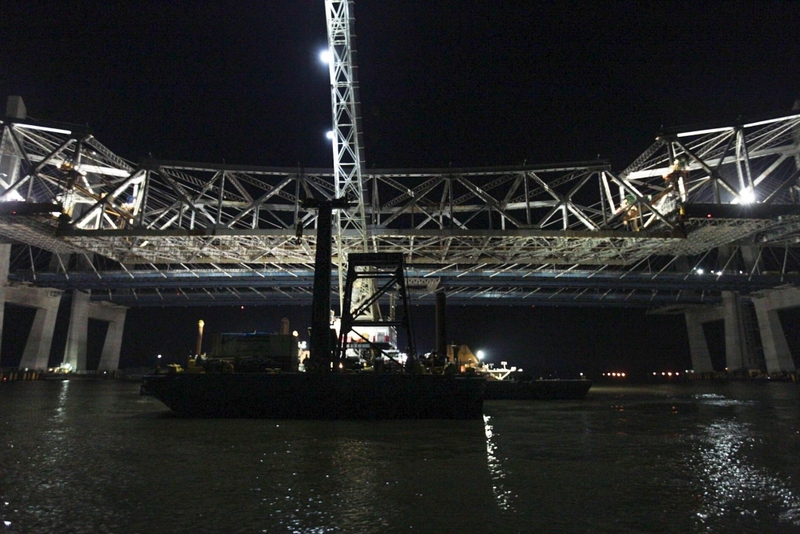 The 532-foot-long suspended span weighs roughly 10 million pounds. 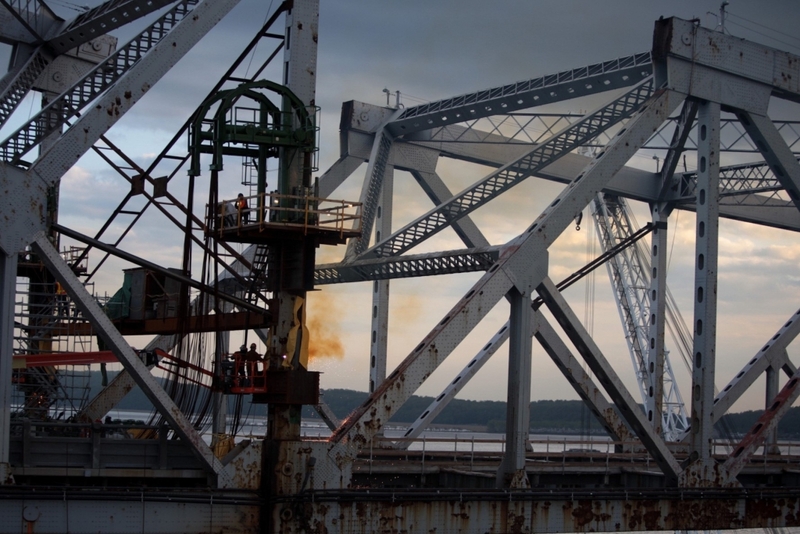 TZC transported the main span section south of the bridge for further disassembly. 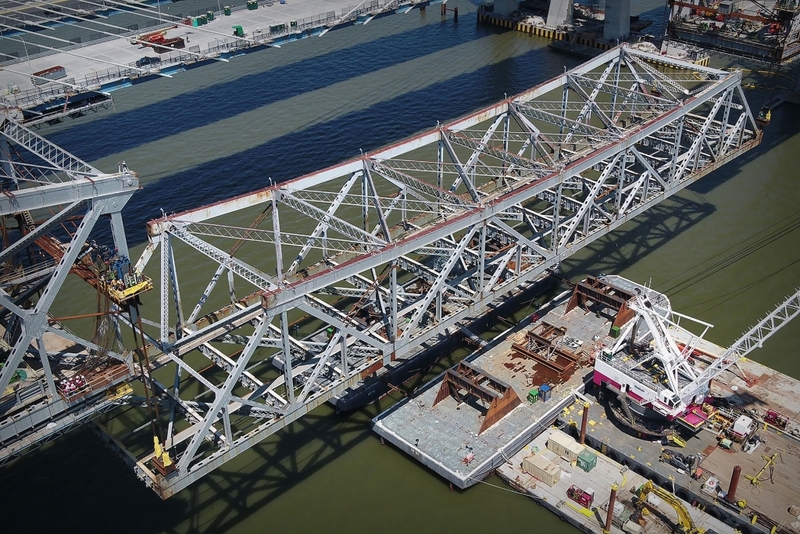 Future operations to remove the old bridge’s main span will include dismantling its two cantilever trusses (Sections 2 and 4) with barge-based cranes and lowering its anchor spans (Sections 3 and 5) onto barges with the assistance of strand jacks by year’s end. 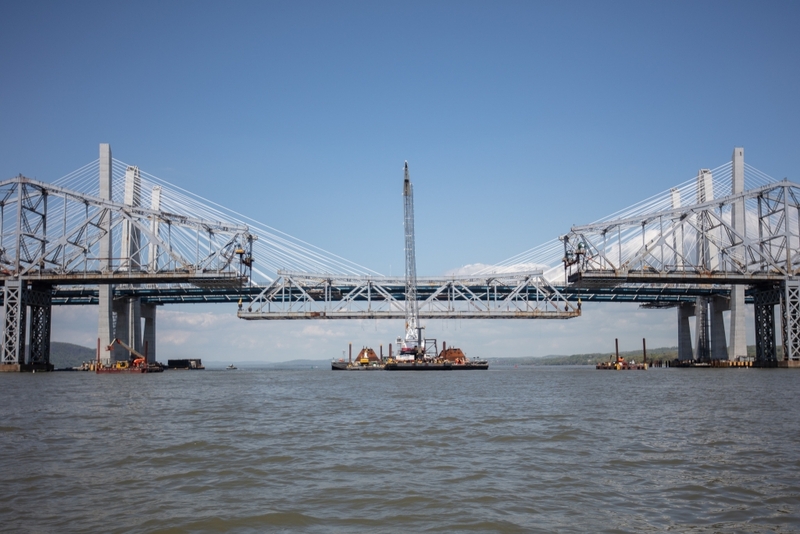 After the main span dismantling, the project’s floating super crane, dubbed I Lift NY, will assist with the removal of steel substructures. 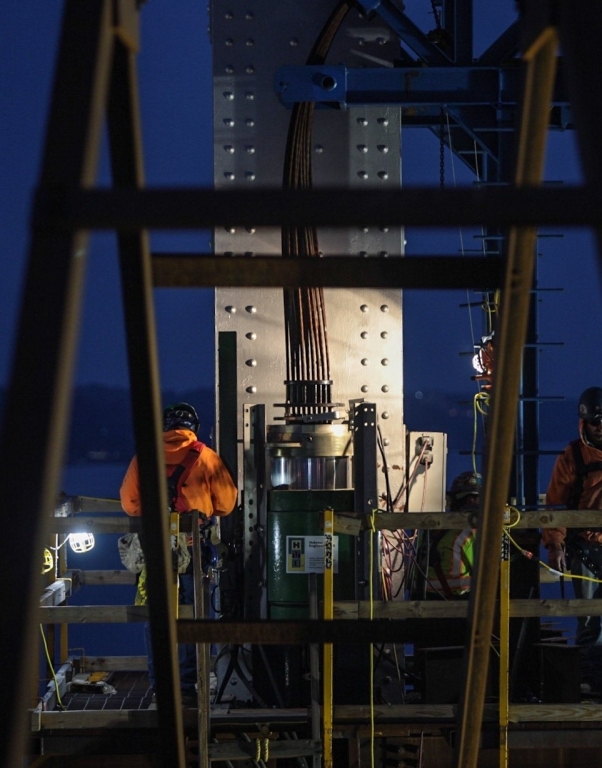 Subscribe to our monthly newsletter to receive the latest project information.